Instant access to unlimited video content has changed the way we learn and communicate in business and pleasure. Although social media vehicles are often overloaded and cluttered with inaccurate information, YouTube and other video content platforms do provide a perfect stage to communicate technical information, which is difficult to communicate effectively by text. 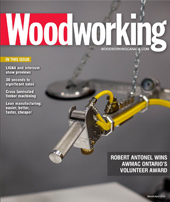 My goal is to merge video and text, in cooperation with Woodworking Magazine to better explain specific concepts. I will be providing detailed explanation in this column and links to videos, which can be viewed on YouTube to provide a visual demonstration of the concepts being discussed below. “Production recipe” refers to a detailed set of recommendations, which can be followed to achieve optimal machine performance and production benefits. Recommendations are provided in a range, due to the number of variables involved, but the values below have been field tested, and have proven to produce optimal results. All detailed recommendations are provided below in BOLD. This issue’s application focus is Flat panel MDF Door production. As contemporary style has continued to grow in cabinet manufacturing, many companies are presented with a challenge of producing flat panel MDF Door in large quantities. Depending on the door production method, MDF can be difficult to finish, particularly in the center of the door. Many companies have opted to produce two-piece door designs, with a flat panel inserted from the back or front of door. This method does require less finishing preparation, but leads to higher labour cost in assembly, and greater chance of product defects or failure in the future. The most common approach to flat panel MDF door production is shown in Image 1. The door is produced in one piece, by machining the center panel with a surfacing tool. This approach does present two critical production challenges which can be overcome with proper execution of a production recipe. MDF routing produces a porous surface which can be difficult and costly to prepare for primer and final finish. High volume stock removal of MDF can occupy a great deal of machine time and lead to premature tool wear, resulting in machine downtime. Before selecting tools and holder, machine verification should be performed to ensure tram or spindle alignment is accurate. Spindle alignment is critical to ensuring tool runs accurately and limits the step over lines between tool passes. 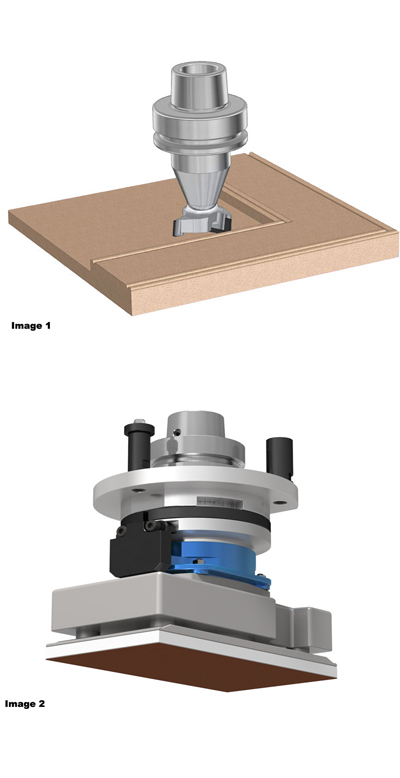 If the machine spindle is out of alignment with a ½ diameter tool, it is not always obvious; however, a larger tool diameter as shown in Image 1, will show more lines, especially when surfacing on MDF. After machine accuracy is verified, it is critical to ensure the tool holding system is connected to the cutting tool with minimal run out or vibration. There are various mechanical cullet, hydraulic and shrink fit tool holding options on the market, but the integrated style holder shown in Image 1, is the only design which will ensure long term accuracy, balance and rigidity. Integrated tool holder systems eliminate the connection point between tool and holder, resulting in unparalleled accuracy and performance. The short gauge length and rigid design eliminates any chance of tool deflection or vibration and allows the machine to perform at higher feed rates, without sacrificing cut quality. When pocketing out MDF doors, it is important to consider the diameter of the cutting tool. A small diameter tool will increase the amount of required machine time, but leave smaller radius in the corner of the door, which will require fewer passes to tighten the corner to a small radius. A large diameter tool will minimize the number of required tool passes, but create a large corner radius which must be removed by additional passes with smaller diameter tools. Drawer fronts are also a consideration as they generally have smaller pocket dimensions which will limit the diameter of tool. Given all the variables, we recommend a 1-3/4 to 2-inch diameter tool with 12 to 16 mm cutting edge length with three flutes. RPM is always determined by confirming the tool diameter and safe operating speed which should be provided by the tool manufacturer on a tool drawing. However, it is very important to note that safe operating RPM is NOT always the exact RPM the tool should be run. Tool manufacturers provide the max RPM which should never be exceeded, but in some cases the tool should be run at lower RPM to reduce heat generation. This determination can be made based on material density and desired chipload. The application shown in Image 1 is a good example of a scenario where lower RPM is recommended. The tool is 1-3/4 inch diameter, which can be run up to 18 000 RPM, however, due to the nature of material and heat generation created by the surfacing application, it is critical that tool be run at a lower RPM to maximize tool longevity. Feed rate is directly related to RPM and must be set appropriately to ensure tool longevity. Over the years, I have found many operations running surfacing tools at a feed rate far too low to achieve acceptable tool life. 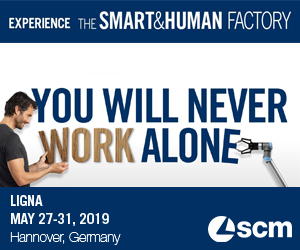 The thought process to run slower seems logical, as it will initially produce better surface finish and appears to be safer for machine and operator. However, the resulting heat generation caused by lower feed rates and higher RPMs, will inevitably dull the cutting edge prematurely and lead to poor cut quality. If the tool is run for an extended period at feed rates under 500 IMP, excessive heat generation can cause the tool to fracture under cutting force, which can be potentially dangerous. DOC should be carefully considered, as it is critical to optimal machine performance and finish quality. It is important to understand that deeper depth of cuts are not always the best option. There is a tendency to attempt deeper cuts to reduce the number of required passes and reduce cycle time. However, increasing the depth of cut will often generate more heat, resulting in decreased tool longevity and inferior cut quality. Flat panel MDF door machining is a good example of an application which should be performed in two passes, if the panel depth is over 8 mm. The tool shown in Image 1 will perform depths of cut up to 14 mm, without any machine performance issues. Accurate sanding is a critical part of the preparation process for any MDF door, and flat panel doors are the most challenging due to the amount of porous MDF and machining lines. Traditionally, manual sanding has been the greatest labour requirement for flat panel doors. Hand sanding often produces inconsistent results at a relatively high cost per door. To improve efficiency and quality of sanding processes, many operations are utilizing CNC sanding technology or various robotic solutions to sand the center panel of doors. Traditional through feed sanding equipment can sand the recessed portion of the door with some success, but a square orbital sanding disk with CNC control, is still the best method to achieve optimal results in the centre panel. Image 2 illustrates an example of a square orbital sanding aggregate which can be installed on any CNC machine and programmed to sand a variety of door sizes. This solution does work very well and produces far more consistent results compared to manual labour sanding. The keys to success are proper pressure, and good dust extraction, to optimize sand paper life and produce the best surface finish. The only limitation of using this aggregate is the machine time required to sand while doors are on the CNC machine. In higher volume door production scenarios, some companies have opted to use a similar sanding system on a robotic arm, in line with priming machinery. This has proven to improve efficiency and save critical CNC time. As contemporary style kitchens continue to evolve, it is obvious that demand for flat panel MDF doors will continue to grow. Although flat panel doors appear to be simple to produce, they can occupy a great deal of machine time and finishing resources which drives up production cost. Simple changes in tooling selection and machine parameters can make a huge difference in overall cycle time requirements, and innovative sanding solutions can dramatically increase speed and accuracy of the sanding processes. A new production recipe is something to consider for your flat panel MDF door production.